Chaque challenger a 16 jours pour jouer (oui 10000₂ ou encore 14₁₂ ou encore 10₁₆ c’est pas clair ? ), incluant 3 week-end, le challenge débute le premier vendredi de chaque mois. Et devra poster ses résultats sur le forum dans le sujet prévu. Si tu ne vois pas le HTML active le dans tes préférences. Dungeon Crawl Stone Soup version 0.12.3 (tiles) character file. Began as a Centaur Hunter on Oct 5, 2013. Was a Priest of Yredelemnul. 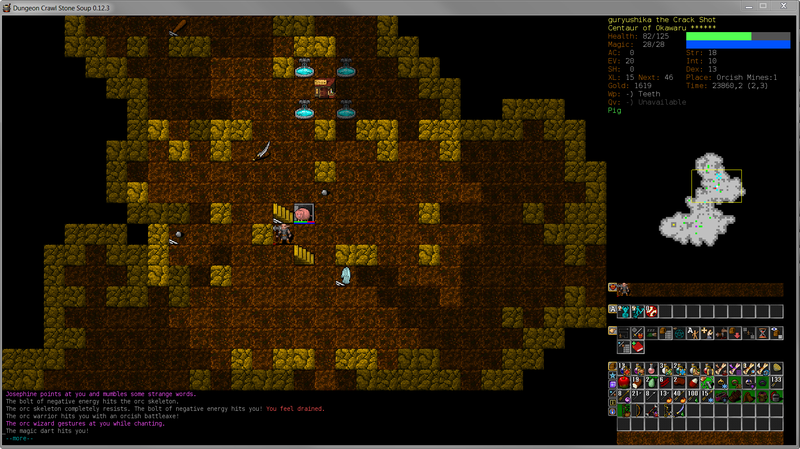 ... on Level 10 of the Dungeon on Oct 8, 2013. The game lasted 02:44:34 (9992 turns). Yredelemnul was greatly pleased with you. You collected 337 gold pieces. You spent 110 gold pieces at shops. You are clumsy (Dex -1). The yak gores you. The yak gores you but does no damage. The yak gores you. The hound bites you. The hound bites you but does no damage. The yak gores you but does no damage. The yak gores you. The yak gores you but does no damage. The giant eyeball stares at you. The hound gazes forward, looking utterly alone. The hound completely misses you. The hound bites you. 0 | D:1 | Acheron, the Centaur Hunter, began the quest for the Orb. 1468 | D:2 | Found a basalt altar of Yredelemnul. 2080 | D:3 | Found a bloodstained altar of Trog. 2599 | D:4 | Found a radiant altar of Vehumet. 2736 | D:4 | Found a blossoming altar of Fedhas. 3170 | D:4 | Found Khaitwel's Magic Scroll Boutique. 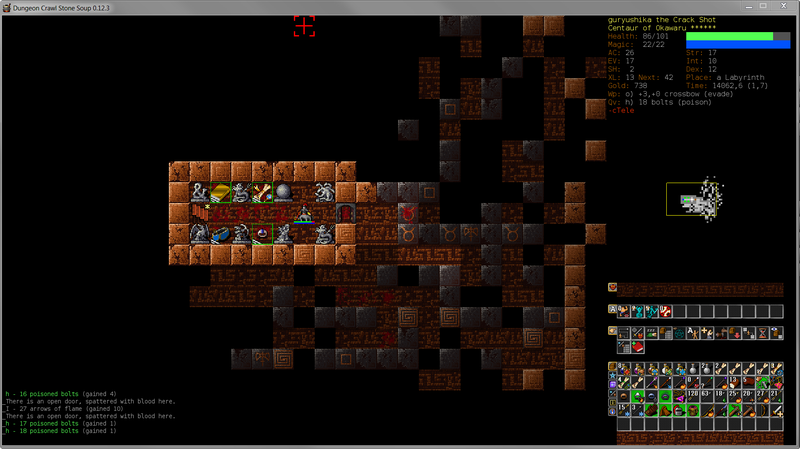 4250 | D:5 | Found a shimmering altar of Xom. 4787 | D:6 | Found a glowing silver altar of Zin. 5841 | D:6 | Found a glowing golden altar of the Shining One. 6187 | D:7 | Found a staircase to the Ecumenical Temple. 6819 | D:7 | Found Toagirae's Magical Wand Emporium. 7157 | D:7 | Found a white marble altar of Elyvilon. 7551 | D:8 | Found an iron altar of Okawaru. 7682 | D:8 | Found an ancient bone altar of Kikubaaqudgha. A part ça Acheron a fidèlement servi son maître, Yredelemnul qui l'a récompensé à sa mort en le transformant en zombie. Mon meilleur combat : entouré par 5 killer bees, un rat et un Ant worker, empoisonné Achéron a utilisé ses dernières forces pour lire un scroll of immolation, s'infligeant de profondes brûlures mais réduisant en cendres ses adversaires. Soutenu par son dieu, il les transforma en fidèle zombies et écuma le 9ème sous-sol du dongeon. Grisé par sa victoire il descendit dans le 10ème sous-sol ou il mourru bravement écrasant 2 Yaks avec lui avant qu'un vil giant eyeball le paralyse et qu'un Yak l'empale profitant de sa faiblesse. Un vrai plaisir les CeHu !!! T’es allé jusqu’au niveau 11 ? Entre ces deux armures, je prends quoi pour aller fighter avec mon CeHu ? J’ai bien cru que j’allais y passer! Un putain de run à travers le dungeon!!! ... on Level 1 of the Abyss on Oct 10, 2013. The game lasted 06:13:03 (59872 turns). You were on level 1 of the Abyss. You visited 10 branches of the dungeon, and saw 44 of its levels. You collected 3458 gold pieces. You spent 741 gold pieces at shops. It affects your accuracy (+5). It affects your damage-dealing abilities (+3). You are surrounded by a mild repulsion field (EV +2). You are partially covered in icy blue scales (AC +1). You are good at translocating small distances at will. You are dopey (Int -1). You are robust (+10% HP). The apocalypse crab bites you but does no damage. You block the apocalypse crab's attack. The blast of chaos engulfs you! The blast of chaos engulfs you! You resist. A Brimstone Fiend appears in a shower of sparks. abomination, a smoke demon and a white imp. 0 | D:1 | guryushika, the Centaur Hunter, began the quest for the Orb. 3133 | D:4 | Found a glowing golden altar of the Shining One. 4092 | D:5 | Found a staircase to the Ecumenical Temple. 4885 | D:5 | Found a bloodstained altar of Trog. 5706 | D:7 | Found a sand-covered staircase. 5813 | D:7 | Found a radiant altar of Vehumet. 7841 | D:9 | Found a staircase to the Orcish Mines. 8076 | D:9 | Found a blossoming altar of Fedhas. 8191 | D:9 | Found a roughly hewn altar of Beogh. 11711 | D:11 | Found Shrism's Weapon Shop. 13328 | D:12 | Found a portal to a secret trove of treasure. 16125 | D:13 | Found a white marble altar of Elyvilon. 16343 | D:13 | Found a staircase to the Lair. 16797 | Lair:1 | Found a labyrinth entrance. 20596 | Lair:3 | Found a staircase to the Swamp. 22464 | Lair:5 | Found a hole to the Spider Nest. 27490 | Lair:8 | Found a staircase to the Slime Pits. 29241 | D:14 | Found a basalt altar of Yredelemnul. 30083 | Orc:1 | Found Raimaime's General Store. 31989 | Orc:4 | Found a staircase to the Elven Halls. 32172 | Orc:4 | Found a roughly hewn altar of Beogh. 32195 | Orc:4 | Found Taetat's Weapon Boutique. 32299 | Orc:4 | Found a roughly hewn altar of Beogh. 32409 | Orc:4 | Found a roughly hewn altar of Beogh. 32463 | Orc:4 | Found a roughly hewn altar of Beogh. 32522 | Orc:4 | Found a roughly hewn altar of Beogh. 33141 | Orc:4 | Found Onacoq's Magical Wand Shop. 33814 | Orc:4 | Found a roughly hewn altar of Beogh. 33816 | Orc:4 | Found Wangirig's Antique Armour Shoppe. 33820 | Orc:4 | Found Shraomm's Antique Weapon Emporium. 34085 | Orc:4 | Found a roughly hewn altar of Beogh. 41229 | D:18 | Found a staircase to the Vaults. 41274 | Vaults:1 | Found Jueqinat's Food Boutique. 46871 | Vaults:2 | Found a staircase to the Crypt. 50066 | Vaults:3 | Found Saekh's Antique Armour Boutique. 51619 | Vaults:4 | Found a staircase to the Hall of Blades. 53127 | Vaults:4 | Found Oliffil's Assorted Antiques. 58919 | Elf:3 | Found Moeh's Book Emporium. 58938 | Elf:3 | Found Ifriva's Magical Wand Emporium. 58973 | Elf:3 | Found a shimmering altar of Xom. 59048 | Elf:3 | Found a sparkling altar of Nemelex Xobeh. 59255 | Elf:3 | Found Mnoifoak's Assorted Antiques. 59507 | Abyss:1 | Found a corrupted altar of Lugonu. bon bah a mon tour! Began as a Centaur Hunter on Oct 10, 2013. The game lasted 00:41:09 (7031 turns). You collected 364 gold pieces. The centaur shoots an arrow. The arrow hits you! You could see a centaur. 0 | D:1 | Oskoplow, the Centaur Hunter, began the quest for the Orb. 85 | D:1 | Found a deep blue altar of Sif Muna. 705 | D:2 | Found an iron altar of Okawaru. 1312 | D:3 | Found a sparkling altar of Nemelex Xobeh. 2082 | D:4 | Found a staircase to the Ecumenical Temple. 3235 | D:4 | Found a deep blue altar of Sif Muna. 3523 | D:4 | Found a snail-covered altar of Cheibriados. 3627 | D:4 | Found a burning altar of Makhleb. 5336 | D:6 | Found a gateway to a ziggurat. 5699 | D:7 | Found a white marble altar of Elyvilon. 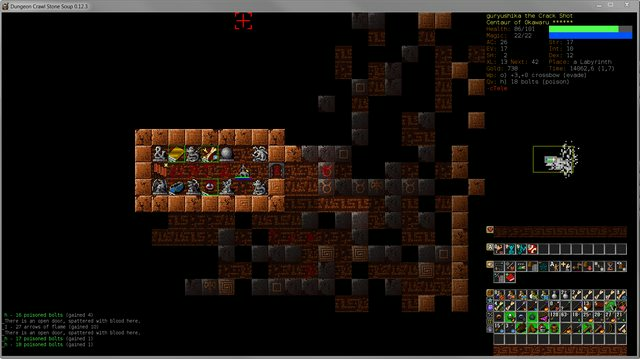 6904 | D:8 | Found a staircase to the Orcish Mines. voualou! en sachant que c'est ma meilleure partie de tout les temps du monde! Une des meilleurs partis que j'ai faites je suis content de moi, malgré le score que est pas terrible pour le classement ! Began as a Merfolk Assassin on Oct 13, 2013. Was an Elder of Okawaru. The game lasted 01:07:44 (7947 turns). You collected 335 gold pieces. You throw a dart. The dart misses the killer bee. The killer bee stings you! You feel sick. The killer bee closely misses you. The killer bee misses you. You feel sick. The killer bee stings you! The killer bee barely misses you. The killer bee stings you! You could see 2 killer bees. 0 | D:1 | PampaSin, the Merfolk Assassin, began the quest for the Orb. 2291 | D:3 | Found an iron altar of Okawaru. 3821 | D:4 | Found a white marble altar of Elyvilon. 7552 | D:7 | Found a staircase to the Ecumenical Temple. Ben t’as de la chance tu peux refaire ton challenge! Tu t’es trompé tu as pris un Merfolk Assasin (MfAs) ou lieu d’un Centaur Hunter (CeHu). Relis la partie sur les prérequis! Began as a Centaur Hunter on Oct 16, 2013. The game lasted 00:27:39 (2002 turns). You collected 179 gold pieces. The ogre barely misses you. You shoot an arrow. The arrow misses the ogre. You shoot an arrow. The arrow hits the ogre. A giant eyeball comes into view. The giant eyeball stares at you. You suddenly lose the ability to move! The giant eyeball stares at you. You resist. You could see an ogre and a giant eyeball. 0 | D:1 | Kasaris, the Centaur Hunter, began the quest for the Orb. 398 | D:2 | Found a sparkling altar of Nemelex Xobeh. 492 | D:2 | Found a shattered altar of Ashenzari. 497 | D:2 | Saw a vision of the Swamp and the Spider Nest. 958 | D:3 | Found an iron altar of Okawaru. 1421 | D:3 | Found a shimmering altar of Xom. Began as a Centaur Hunter on Oct 20, 2013. Was a Believer of Okawaru. The game lasted 01:02:17 (7065 turns). Okawaru was greatly pleased with you. You collected 404 gold pieces. You spent 104 gold pieces at shops. You hit the yak. You kick the yak. You hit the yak. You kick the yak! The yak seems to speed up. The yak closely misses you. You could see a yak. 0 | D:1 | Fernand, the Centaur Hunter, began the quest for the Orb. 786 | D:2 | Found an iron altar of Okawaru. 2553 | D:4 | Found a sparkling altar of Nemelex Xobeh. 2750 | D:4 | Found a deep blue altar of Sif Muna. 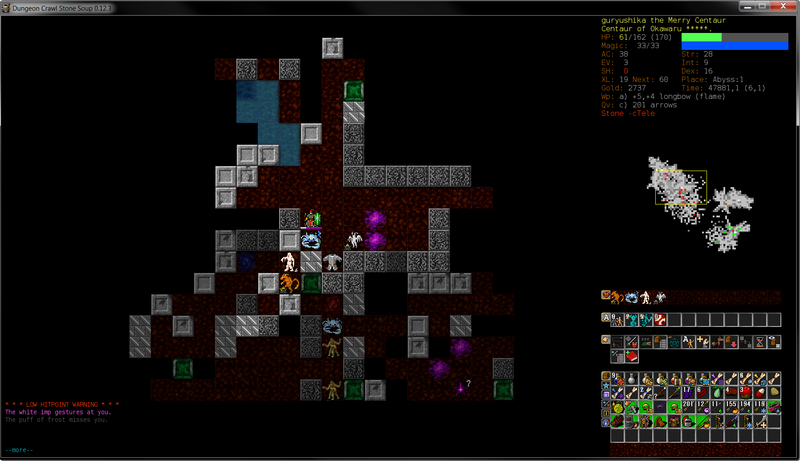 4706 | D:6 | Found a staircase to the Orcish Mines. 4909 | D:6 | Found a burning altar of Makhleb. 5305 | D:6 | Found a staircase to the Ecumenical Temple. 6049 | D:7 | Found Prarch's General Store. 6165 | D:7 | Found a blossoming altar of Fedhas. Eafy a écrit: Saleté de végétariens! 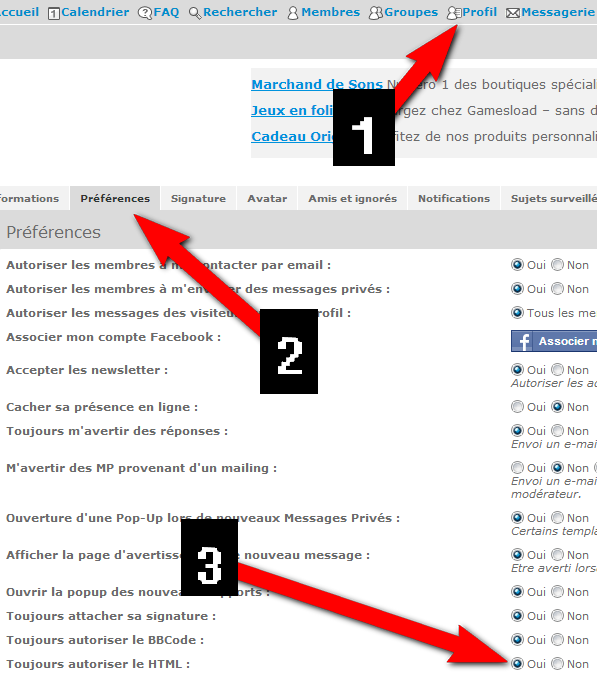 Dommage qu'il y n'y en ait pas sur DCSS. Dites donc c’est fini de m’insulter!!!! Je ne parlait que des yaks, vaches et autre créature ruminantes ne mangeant pas de steacks.